Today’s post is for Project 52, a weekly blog project that I am working on with several other talented photographers whom I’ve come to know and adore over the past year. In this project, we concentrate on light and spend several weeks exploring an overarching theme. This is our third week playing with artificial light. Last night was our final night of our Hawaiian vacation. We watched the sunset, but Avery hadn’t had enough of the beach, so she stayed out there to make sand castles until it was too dark to see. Alexa and I walked around for a bit so she could explore by climbing stairs, around the light fixtures and such. 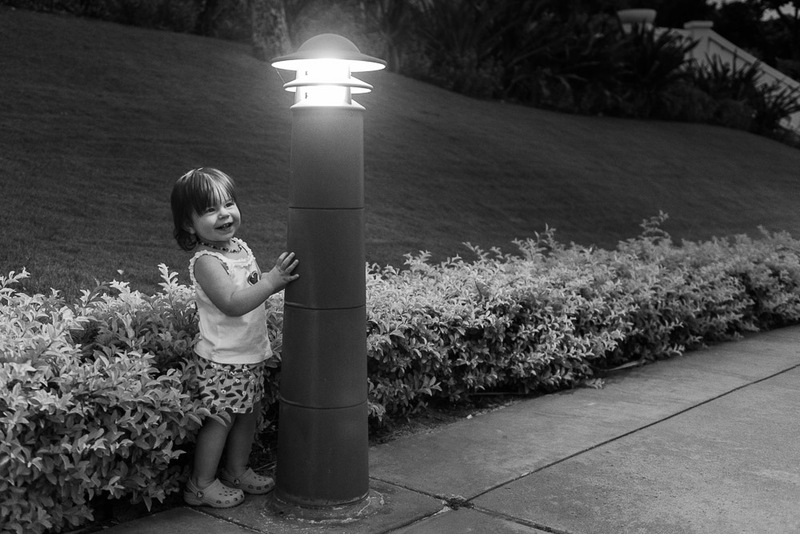 This shot is of her playing peek-a-boo with a couple walking by. The light hit her perfectly for me to capture her friendly little face. Please continue along our creative blog circle to see what my lovely friend Jessie Wixon has posted. Jessie takes stunning photos of her two gorgeous daughters. Please click HERE to see Jessie’s play on artificial light. Such a nice shot. She looks so grown up here. I love her adorable smile!! She is just precious! !